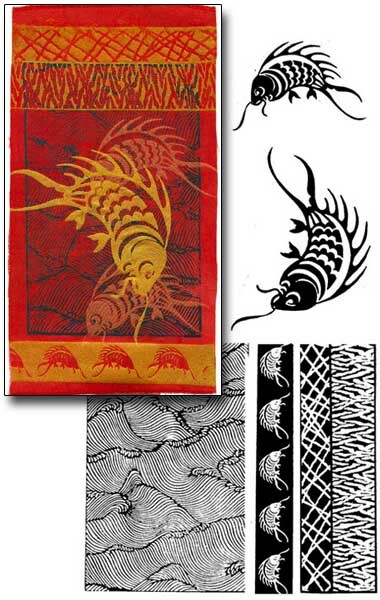 The large dramatic images on these 8.5"x11"sheets are ideal for making strong visual statements. These are just a few of the screens in this beautiful collection. 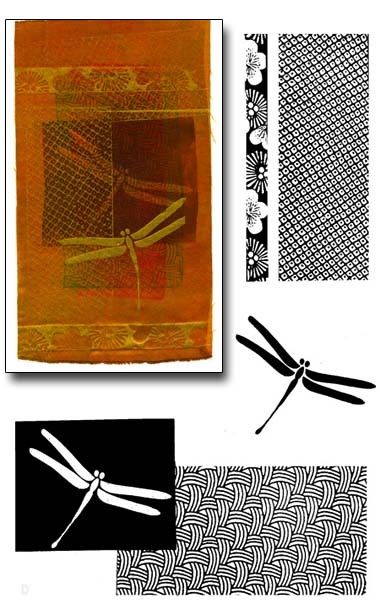 These kits provide you with an assortment of allover patterns, borders and spot designs chosen to work well together on clothing, art quilts or wall hangings. 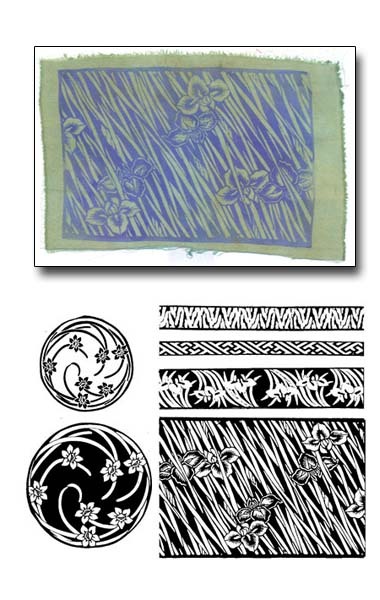 Panels can be made separately and inset or appliquéd onto clothing. 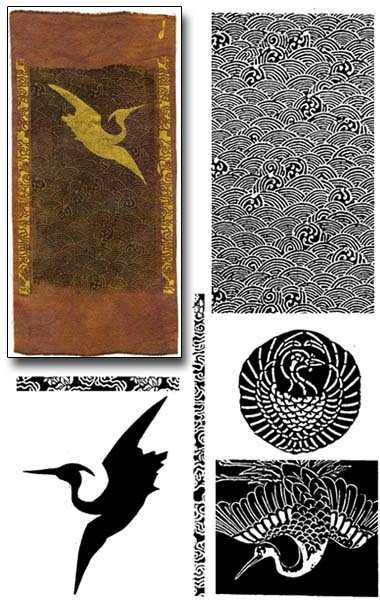 These images are based on various periods of history or specific styles such as Art Nouveau or Celtic Designs. These beautiful nature images drawn by Ginny Eckley combine well with other images in the collection. These are just a few of the screens in this collection. 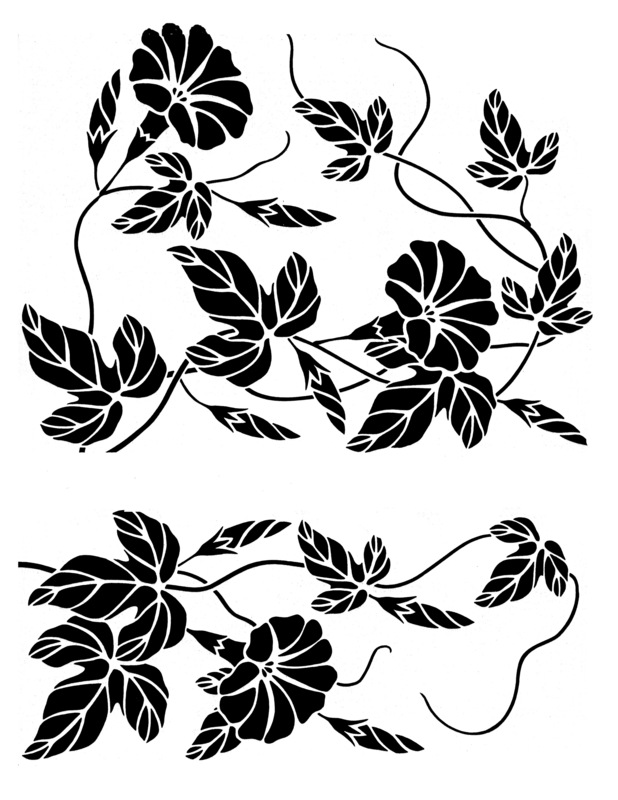 Ginny Eckley's hand drawn petite nature images are perfect for projects requiring smaller designs. More selections are available in this line. Gwen Gibson has designed a collection of petite kits using smaller scale images perfect for jewelry. 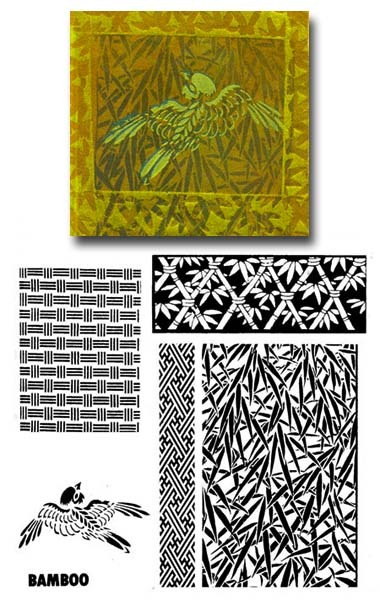 The combination of allover patterns, borders and spot designs are chosen to work well together on jewelry, cards, books and small fabric projects. There are many designs to choose from in this line.